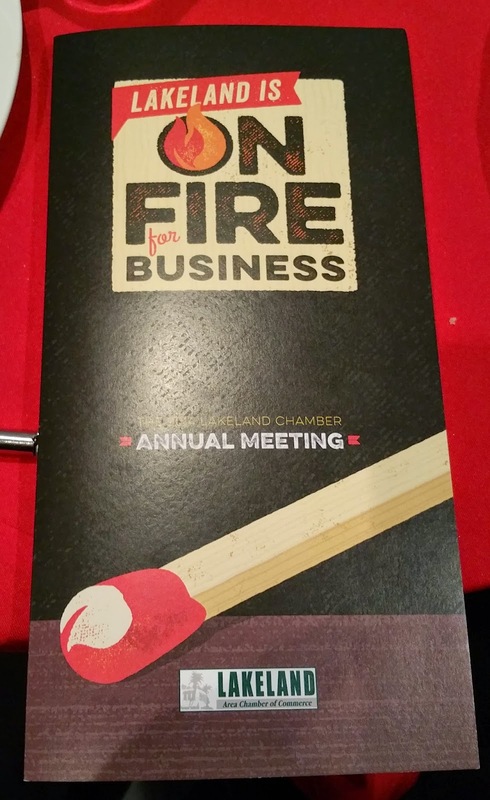 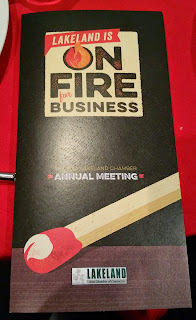 Party People Celebration company was honored to win the bid for the 6th year in a row for the Lakeland Chamber Annual Meeting. 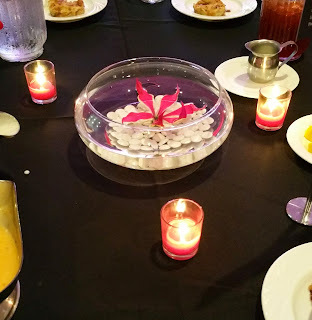 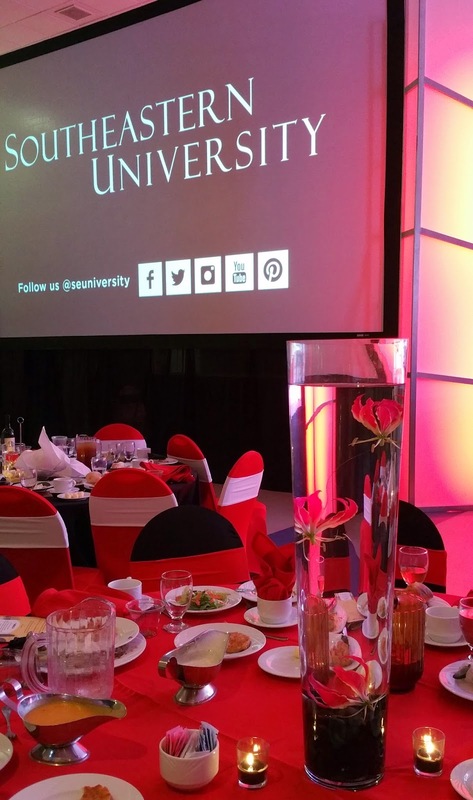 This year Southeastern University was the featured program for the evening. Party People Celebration Company Coordinated the Linens, Centerpieces, and Red Pipe and Drape for behind the bar. 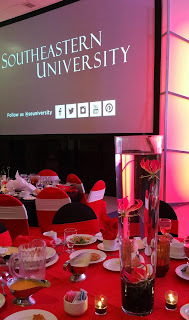 Stage design by Mabe Productions and Southeastern University. 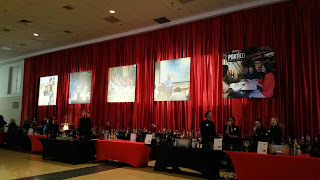 Floor to Ceiling Red Sateen Pipe and drape by Party People celebration company gives a Great Backdrop for the Bar area with 6 X 6 ft photos from Southeastern University. 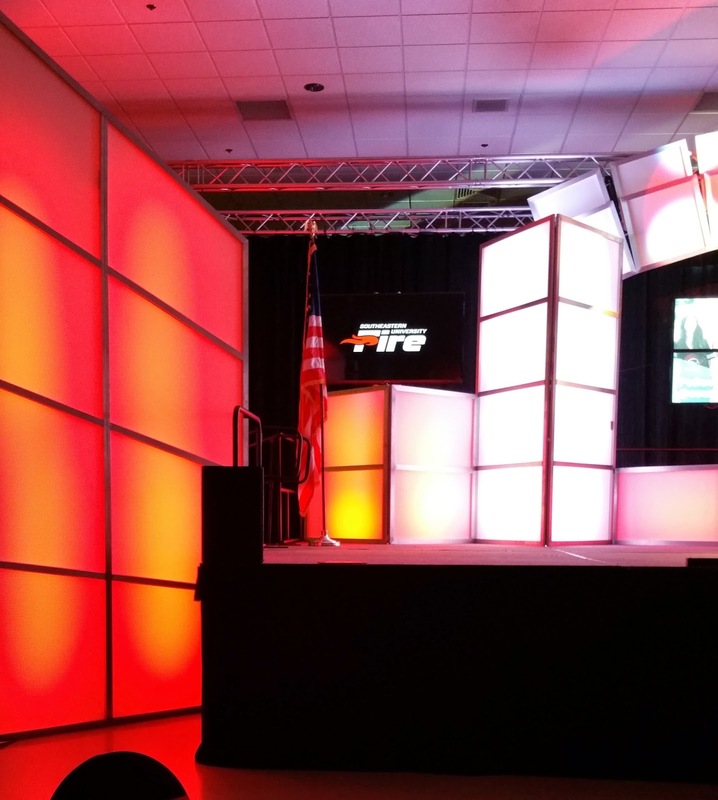 Stage design and lighting by Mabe Productions and Southeastern University. 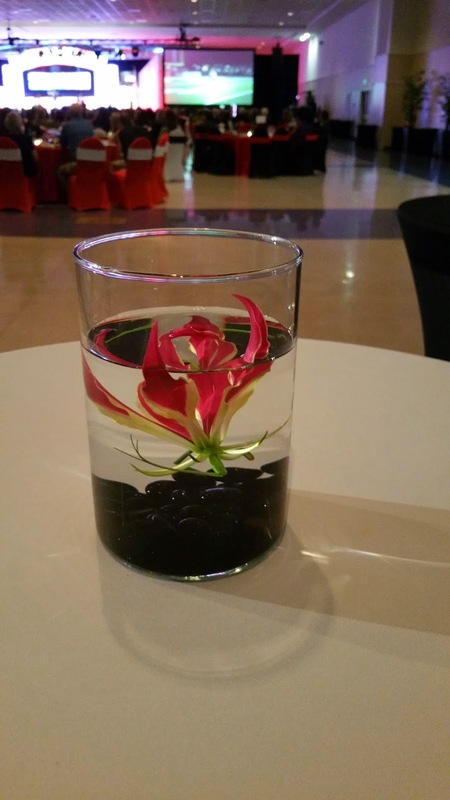 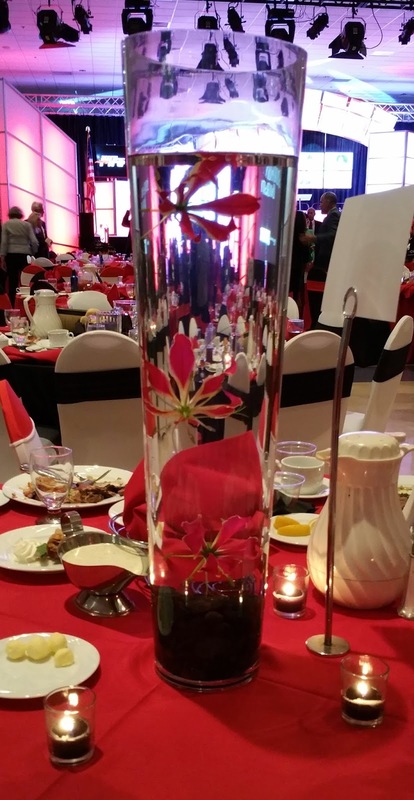 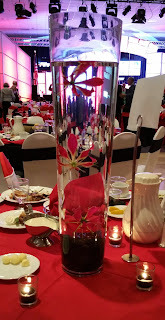 Party people Celebration company loved working with Taylor Made flowers to design the Awesome Flame inspired Flower design in our glassware.